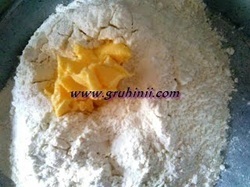 Take the flour into a large plate. Add salt and butter to it and mix well. Then make stiff but smooth dough adding sufficient water. 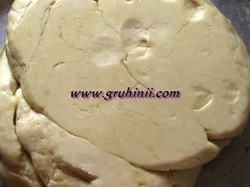 (like poori dough) Cover it and leave it for half an hour. 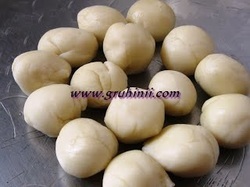 Make small marble size balls with the dough. 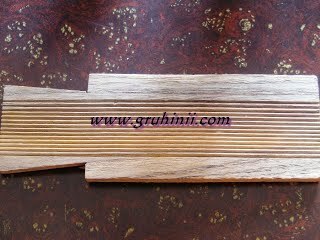 Above you can see the gavvalu mould. 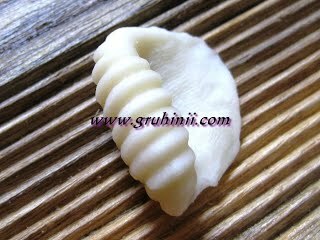 If you do not have this mould you can make on a fork or a new comb. Apply oil the mould. Now take the maida ball and gently press with your thumb it on the mould. 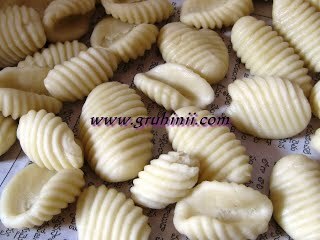 Make shells in the same manner with the remaining balls. 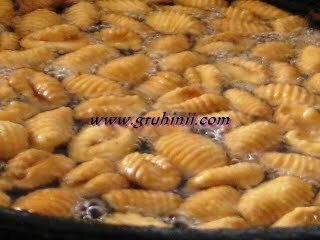 Now heat oil in a pan and deep fry the shells until golden brown. Remove and drain them on a kitchen paper. 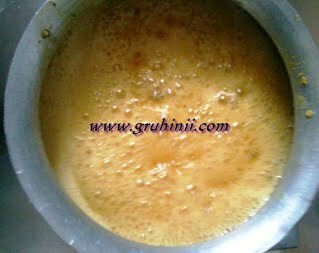 Now grate jaggery and take it into a thick bottomed vessel. Add 2 cups of water. Heat until the jaggery melts. Strain the syrup and heat again until it thickens. Take a cup of water and drop some syrup into it. If the syrup turns to a soft ball then your syrup is ready. 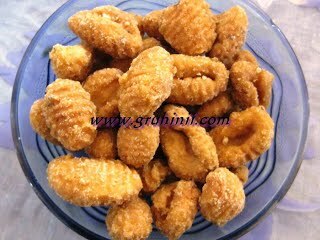 Add cardamom powder to it and add the shells to the syrup. MIx carefully to coat the syrup properly.